Free Practice 1 + 2: In the first free practice session it started to rain and then it was damp conditions. 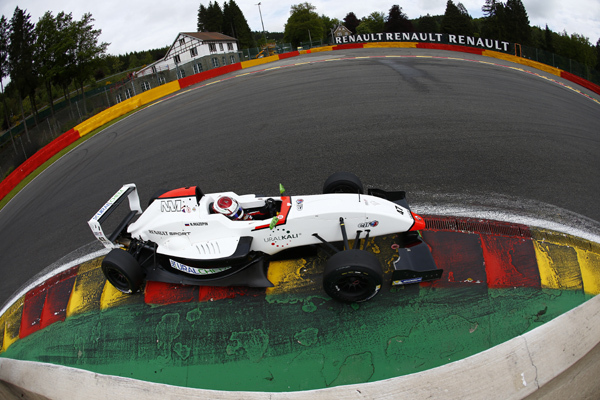 After running in brakes, Delétraz was P 10 and Jörg was P 23. Nikita Mazepin driving a Wild Card this weekend was P 27. In the second free practice track conditions were normal. Jörg ended on P 2 and Delétraz on P 4. Mazepin on P 19 from 34 cars. Qualifying 1: In the first qualifying Delétraz was in Group A and qualified on P 4 in his group, Mazepin on P 15. Jörg in Group B was unlucky with a red flag and was in P 4 in the group even he had set purple sectors throughout the whole session. Starting Grid for Race 1: Delétraz on P 7 - Jörg on P 8 - Mazepin on P 28. Race 1: In the first race Jörg had a technical issue and dropped back in the first two laps down to P 22. After that he drove a brilliant race to finish P 13. Nikita Mazepin finished on P 24 with some damage on the front wing. Louis Delétraz had a good start and was moving up positions every lap. In the end he was able to finish the race on P 4. Qualifying 2: The second qualifying saw Kevin Jörg on P 3 in his group. 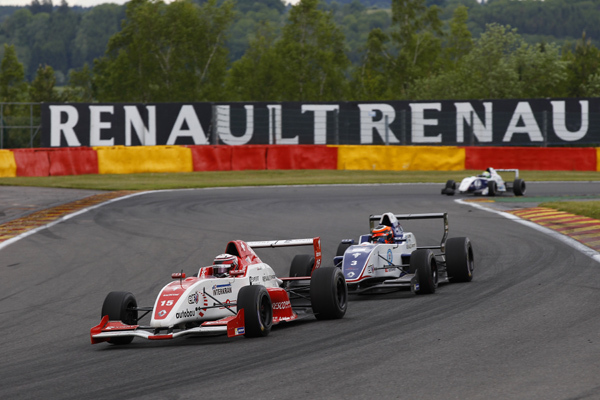 Louis Delétraz was P 5 in his group and Nikita Mazepin on P 10. 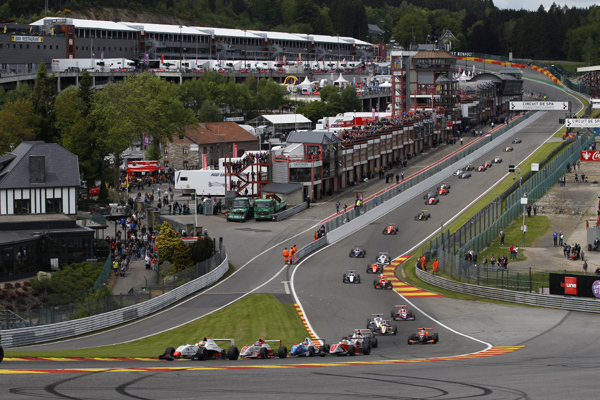 Starting Grid for Race 2: Jörg on P 6 - Delétraz on P 9 - Mazepin on P 18. 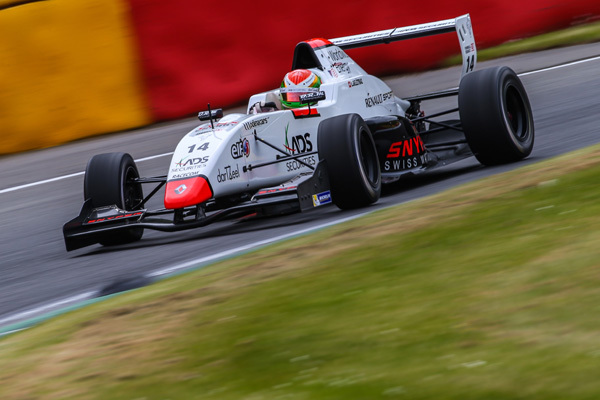 Race 2: Delétraz had a good start but in the second lap he was crashed out by another car in turn 1. A shame for the young swiss. Nikita Mazepin drove a good race and was fighting for Top Ten positions. In the end he finished on a good P 14. Kevin Jörg also had some hard fights and lots of overtaking actions. In the end the young swiss finished P 8.